Today, at the Cathedral of Our Lady of the Angels, Archbishop José Gomez honored Alemany students Sean Blatter, Catherine Grillo, and Megan Vargas, along with dozens of other student from L.A. Catholic High Schools. Our students were honored for their service to the poor in our community. 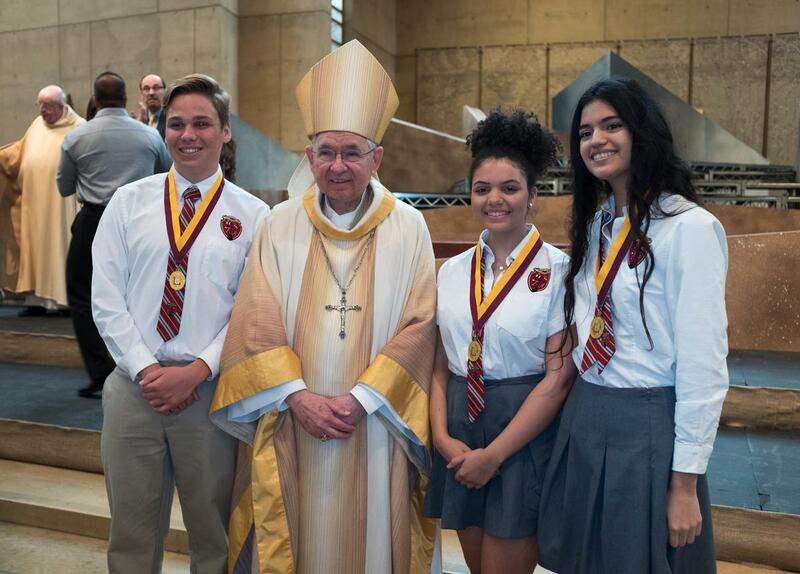 At Bishop Alemany, all students perform Christian service. 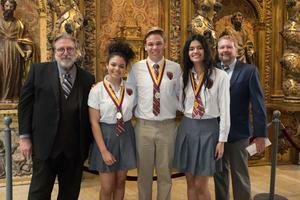 Sean, Catherine, and Megan stood out among all of the great work our entire student body has done to be honored by Archbishop Gomez. In Jesus, God came as a poor man, lived as a poor man, and died as a poor man. He is good news to the poor. As such, Jesus cared deeply about the impoverished. We are very proud of our Christian Service program at Bishop Alemany that exemplifies a preferential option for the poor. 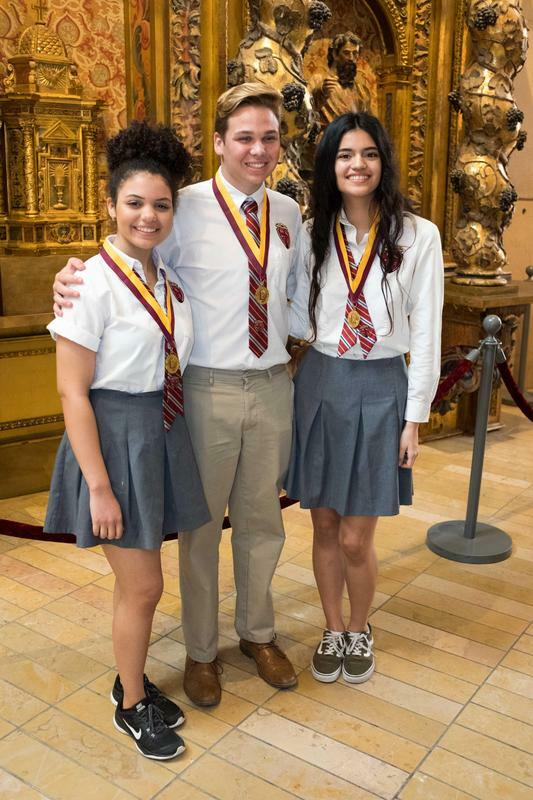 Congratulations to Sean, Catherine, and Megan for this accomplishment and for being living examples of this important aspect of our school's mission and our faith.